Pranic Healing is an ancient art and science of energy healing, developed to alleviate the suffering of humanity in all areas of life; it’s been taught in over 100 countries around the world, and may empower the body to heal itself of injury, illness, and disease, often in ways that can only be described as miraculous! My profession is a Firefighter/Paramedic since 1997, and it’s the only career I ever wanted to work in. I consider myself privileged to work in a profession that I am passionate about, and I am blessed with the opportunity to save lives and serve humanity on a weekly basis. When Pranic Healing came into my life, I quickly realized that it was the perfect complement to my serving humanity and healing lives. I’m sure you would agree that the most challenging times in our lives result in our greatest growth and development. . . That’s exactly what happened with me! 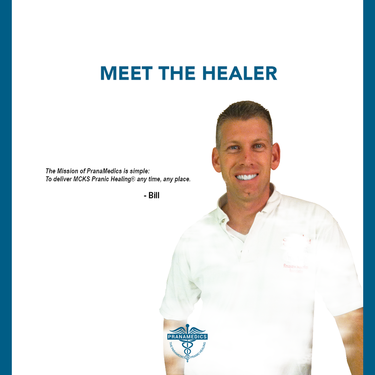 It was the challenge of my wife’s 2nd pregnancy that led me to the magic of Pranic Healing, which has been a core passion of mine since 2003. However, over the next two years, I witnessed too many things in the Paramedic field that medicine just couldn’t explain. I slowly became open to the concept of alternative healing, and learned a little about acupuncture, tai chi, and faith healing studies done through our church. I always believed it, but now I really began to see that there was a higher power at work! When my wife was pregnant with our first child, she was relatively pain-free. Our second pregnancy was another story! At 5 months into her term, my wife was retaining fluid in her body, which caused remarkable swelling and extreme discomfort, 24/7. Doctors couldn’t find anything wrong, and offered no treatment for her pain. I was driven to help her feel better. . . I searched online for ‘Pranic Healing,’ and found a class coming up in Los Angeles, taught by Master Stephen Co.
To be 100% honest, I wasn’t even sure that I believed in Pranic Healing while I took the weekend class, but I learned the techniques, followed the simple instructions, and experienced immediate success when my wife’s pains were relieved. Within days of the class, I was blessed to witness several musculo-skeletal healings: reduced pain, swelling, discoloration, and increased range of motion . . . as well as a chronic bursitis healing in which the pain disappeared completely! Despite our OB’s assurances that our baby would need to be delivered by C-section, I performed Pranic Healing throughout my wife’s labor, which resulted in a successful natural delivery by VBAC, even though our daughter was born taller and two pounds heavier than our son. The energy technique not only worked to help my wife through her pregnancy, delivery, and recovery, but learning and living the lifestyle of Pranic Healing has advanced every other area of my life from that point on. Once I saw the amazing physical healing results brought about by Pranic Healing, I signed up for every advanced class available . . . and I began to see its empowering effects with not just physical, but also emotional, psychological, financial, and relationship healings, as well. By word-of-mouth, I began to do healings for a wide variety of issues, including depression post-miscarriage, migraine headaches, hypertension, macular degeneration, fibromyalgia, to name a few. And, after the customary (good-natured, of course) hazing from my co-workers in the Fire Department, I began doing healings for them by word-of-mouth, as well; those healings include neck, shoulder, and elbow pain, nerve damage, muscle tears, burns, Post-Traumatic Stress, and back pain, both due to injury and non-traumatic, among others. I realized that Pranic Healing has brought so many blessings to the lives of so many of my family, friends, and brothers and sisters in the Fire Service, that now I am driven to spread the teachings by sharing these blessings with the world. Pranic Healing is more than just a wellness modality; it’s a lifestyle that breeds balance, compassion, and peace, while activating our innate Divine qualities of wisdom, love, and power, resulting in physical and mental health, financial prosperity, emotionally healthy relationships, and more. Now that I’ve been an advanced Pranic Healer for over 10 years, it was due time to make this fulfilling hobby into a more serious business. 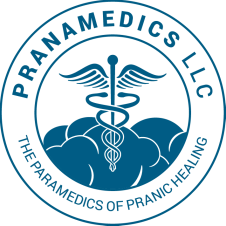 My goal was to deliver Pranic Energy Healing with the same rapid, thorough, and 24-hour dedication that I demonstrate as a Paramedic, and with the blessings of my teachers, I formed PranaMedics, LLC. Early in 2013, I opened my healing office near my home in Huntington Beach, where I may serve more people, and balance my hours off duty from the Fire Station with Pranic Healing, and family time. With the integrity I live by and my enjoyment of helping others, I am grateful to be of service. As I balance my Fire Service career, my Pranic Healing service, and my family roles as husband, father, and son, I truly feel that I have found my mission and purpose in life! My cheerful outlook, loving perspective, and forgiving nature will always serve me well in all of my passions. I’m grateful for my wife and children for sharing this journey with me!